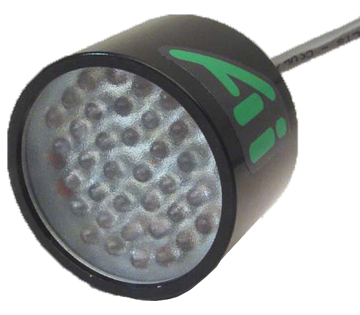 HTE Automation and Advanced Illumination quickly deliver customized machine vision illumination. We provide affordable products tailored to each customer's unique needs, and we don't require you order a large quantity, pay a high fee to get exactly what works best in your application. Lighting products include LED Linear Arrays, LED Spot Lights, LED Ring Lights, LED Dark Field Ring Lights, LED Back Lights, LED Dome Lights, and LED ADI's (Axial Diffuse Illuminators). Line light product offerings include LED Line Lights, High Intensity LED Line Lights, High Intensity LED Linear Arrays, and High Intensity LED Spot Lights. Electronic products include LED Strobes, and both Variable Output and Constant Current Controllers. HTE Automation is your resource for all your machine vision lighting needs if you are located in Kansas, Missouri, or Illinois.